We have a small display in the Fort Dodge Public Library. We decided to feature ancestors who served in World War I. Many Webster County residents, both men and women, either served in the military or aided the war effort at home. 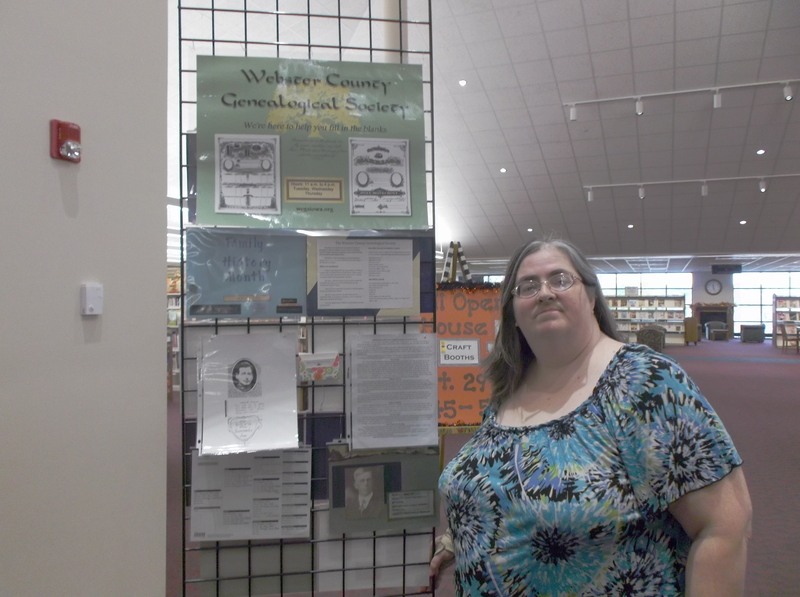 Webster County Genealogical Society President Carol Foltz stands next to the society’s Family History Month display at the Fort Dodge Public Library. 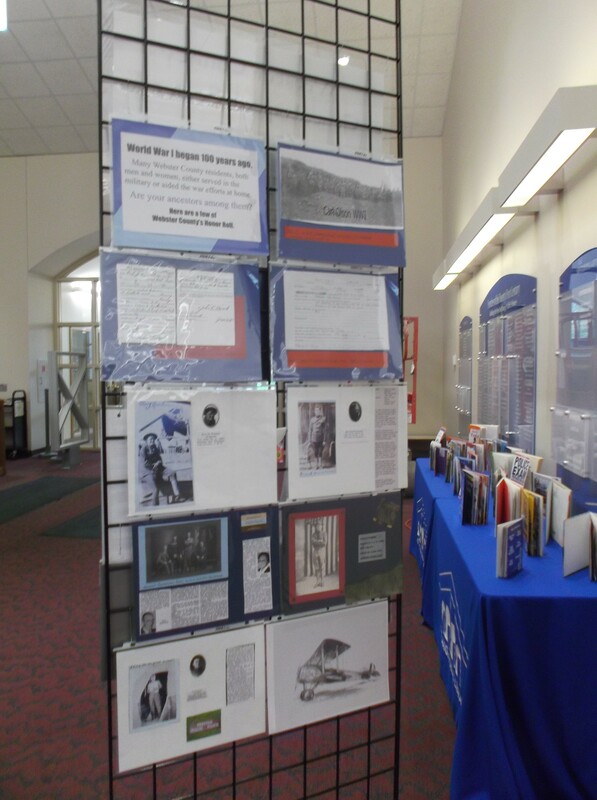 The back of the display focuses on men from the area who served in the military during World War I.